concrete5 v8 provides multiple methods for creating dialog modals, confirm modals, and notifications. The ConcreteAlert object is created in alert.js and is combined with PNotify and other scripts as app.js (concrete/js/app.js). When logged in, app.js is loaded by the concrete5 interface, with the script added near the closing body tag. To make sure app.js has been loaded before using it, use jQuery .ready(), or a similar method, to make sure ConcreteAlert and PNotify are available. When using the UserInterface service notify() method, it will return a script tag with a PNotify object and options wrapped in a jQuery .ready() shorthand method. The full list of PNotify options can be found here (some options are only available when using PNotify directly or the UserInterface service). When using normal browser confirm message, the browser takes care of preventing any action until a choice has been made in the confirm message, either accept or cancel. With these custom Confirm Modals, we have to take care of everything ourselves. Typically you will have 2 different situations, either the link or button you click on has an action attached to it or it doesn't. Let's first deal with the first situation: the element does have an action attached to it. For instance, a link can have a URL set as it's HREF attribute, a button can submit a form. So the first thing we must do before calling our modal is to prevent the default action from happening. Having done so we will show the confirm message without triggering the default link or button's action. 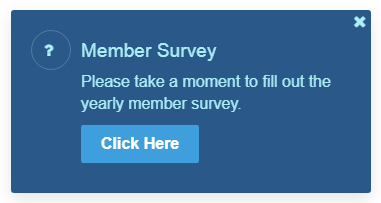 If the user clicks the cancel button we have nothing more to do. We already cancelled the default action, nothing is going to happen other than the Confirm Modal closing. Finally, in our function we have 2 tasks: first we use unbind() to remove the previous click action attached to the button. 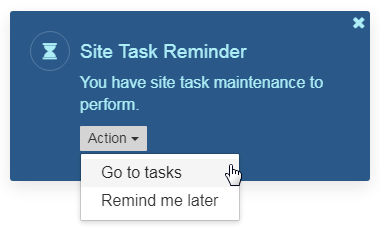 Because we used event.preventDefault() on the button when setting our click action, we can't count on that button to trigger any action anymore so we cancel that. Then we trigger a click on the button by calling the very aptly named click() function on it so it will do what it was supposed to do all along. And we're done with this one. Here the idea is the same as in the previous situation with 2 differences: we do not have a default action to prevent since there's no action at all and we do not have an action to trigger once the user confirms their choice. The solution is to use a redirect if it's a link or manually submit the form if it's a form we're dealing with. I'll let you look at triggering a form submit on your own, it's not complicated to figure out. If your script is in a JS file you will have no choice but to redirect through JS. One drawback of that situation is your link better be static. More often than not, however, our link will be dynamic with parameters sent from PHP (a file ID for instance) and that would complicate things. In that case you'll have to devise a way to make your script aware of those parameters. All the JS needs to do is to grab that data-action value and redirect to it to achieve the desired result. I know treating a data attribute as a simple attribute instead of a data store is not best but it ensure maximum compatibility with all kinds of browsers so just humour me on this one.